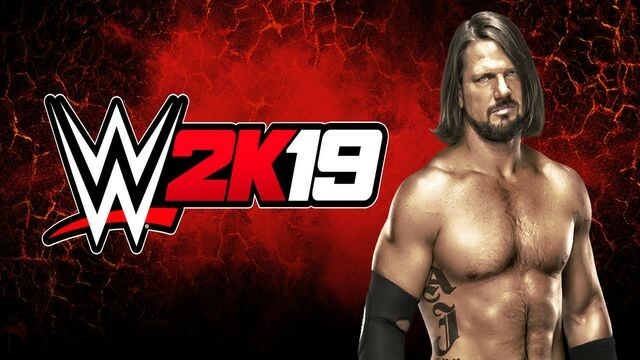 WWE 2K19 is the latest entry in the long-running WWE simulation, and it sets its sights on creating the best-playing experience in franchise history. Since 2K took the series over half a decade ago, we have seen a lot of incremental changes from year to year – but little in the way of radical improvements for game modes. The series has always excelled at offering a lot of variety, but at the expense of quality in some cases. Things like the cage match have felt archaic for many years, and jittery features in things like the Hell in a Cell make them feel unfinished. 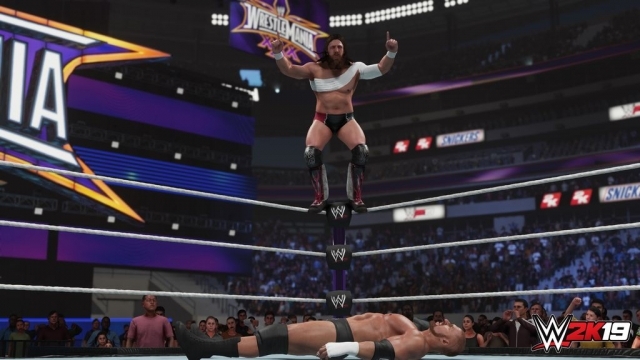 Last year’s entry saw a return to form for things like backstage brawling and an increased freedom in things like submission systems – which 2K19 sees to do even better than before. The MyCareer mode that debuted last year is back and has been revamped to be a far more dramatic affair. Instead of just beginning in NXT, you start out at a low-rent independent show, work your way up to the top there, and then work internationally. The feel of a show in a gym is replicated shockingly well as commentating is done over the PA system – complete with pretty accurate sound mixing. There’s a surprisingly on-the-nose part of the story with your creation losing his WWE gig and then striking out to become a bigger star outside of WWE – akin to what happened over the past two years with Cody Rhodes and All In’s success. Gaining popularity leads to podcast recaps of your in-game events – including one with a Jim Ross expy. The overall flow of the career mode is much snappier now. Instead of wandering aimlessly around the building, you just have a simple menu-driven hub which is far better. The actual story is a fairly compelling one with some twists and turns, and even the debut of the Wyatt compound as a fighting area. It’s very much like the old story modes with some otherworldly elements creeping in to add some comedy, but giving you something to play to either get used to the core gameplay or just enjoy making a character when you otherwise wouldn’t, and seeing a story play out. It’s a far better version of this kind of mode than we’ve seen in quite some time and keeps you engaged from beginning to end. Last year’s entry was hurt by the lack of the 2K Showcase mode, which previously allowed you to recreate many historic encounters over the years with in-game reenactments. While many matches could be done through regular gameplay usage, these also featured cinematics that couldn’t be replicated with pure gameplay and thus were more accurate to what was seen on the show they were featured on than a traditional in-game match. This year’s incarnation of the mode focuses on the return of Daniel Bryan to in-ring action and his entire WWE career – from developmental and being given enhancement roles on weekend programmer, to his rise to prominence as a main event-level superstar. While many of these showcases have been questionable before, having one focus on a modern-day legend like Bryan gives you a chance to see his evolution from someone who wasn’t given a realistic chance to succeed, to being a sure-fire hall of famer in the future. The match selection is fantastic too and goes from his Velocity match with John Cena under his birth name to pretty much every major match he has had in his career that could be legally put in the game due to people like CM Punk being gone from the company – and thus resulting in some timeline gaps. Having Bryan go through everything in an interview format is nice too since he is one of the more realistic talkers in the company and they come off like he’s having a conversation with the player instead of just talking at someone like a talking head on a TV show. 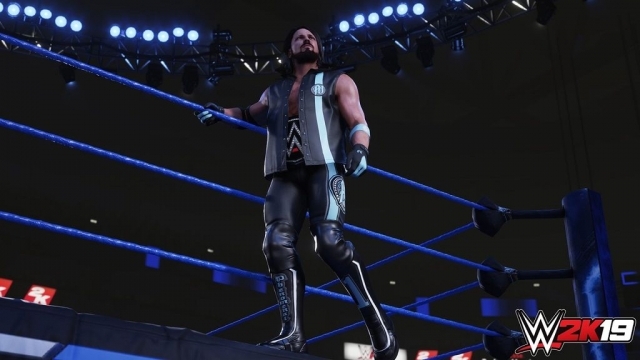 The showcase mode did lead to a bit of an expansion in the core gameplay in the form of a new variant of the Yes Lock, using a kendo stick, and showcases more of the attention to detail that the series has become known for since 2K took over. Entire Youtube shows have been created documenting changes made from year to year and that’s something that couldn’t have been done before. This year’s enhancements largely focus on making the act of playing matches more fun in as many match types as possible. The changes to in-game modes are significant – and help provide a more realistic match flow than prior entries. Steel cage matches have been around for decades in gaming form, and haven’t really been done in a modern manner ever before. While things like brawling on the ropes have been done on TV for over a decade, it’s never been done in a game until now. The flow of a cage match in a game usually amounted to “knock someone down and climb out”, with a bit of variance for a cage dive if a game allowed it. Now, the actual structure feels like it should and beyond being a mass of steel that can cause damage, is also something that can be used to turn the tide. It’s very much like what Aki did years ago with their gimmick matches where the structure used was part of the game and not just a means to put something on the back of the box as a selling point. You can walk the ropes with enemies and knock them off the cage that way, they can climb up top and be pulled down or vice versa, and just about everything that is a regular part of a cage match now can be done. There is definitely room for improvement with diving off of the cage or eventually using something like a superplex off the top rope off the cage ala Bossman-Hogan into the ring, or a “who landed first” finish on the floor, but what’s here now is fantastic. The cell has also seen some changes with a far better-flowing animation for throws off the cell onto the announce table, but while the smaller cell size has led to better cell-related offense outside, it has meant the loss of using weapons in the cage – which hurts things like replicating the recent bloodbath between Randy Orton and Jeff Hardy in the cell. It would also be nice if the creation suite allowed for changes to in-game structure colors since then you could update the cell to be the new red design if you so desired – but maybe that can be added next year. 2K has made some major improvements to replayability with things like the 2K tower. They are effectively very much like the Defeat the Streak mode in WWE 2K14 with the Undertaker, and give you pre-set challenges to overcome. Large gauntlets of foes will litter your path and the difficulty is fairly high even on the easiest of towers. On the toughest towers, you have damage carrying over and tough time limits – so beyond wanting to minimize what damage you take, you also need to be efficient and do as much damage as you can as quickly as possible. It’s a great change from the normal gauntlet mode and keeps things interesting. Visually, WWE 2K19 looks a bit better than last year. Transitional animations between moves and for things like getting up off the mat are better. Otherwise, there haven’t been radical changes to things beyond better-looking reflections on attire. A lot of move animations have been added thanks to the massive upgrade in roster here, with new acts like the Undisputed Era bringing a lot of different styles to things and allowing this game to be one of the best recreations of the modern-day wrestling style with some of the best acts of the last decade of Ring of Honor, Impact Wrestling, and New Japan Pro Wrestling featured. Beyond that, having redone strike animations with vastly-improved selling helps. Sometimes, the selling can change based on the timing – so doing a big forearm smash early on may just daze someone early, while later in a match it can knock them down. It makes in-game storytelling so much more robust and allows for more realistic matches than prior games. Like last year, the addition of Corey Graves to the in-game announce team has resulted in some of the best commentary in a WWE game ever. For far too long, the commentary was disjointed and lacked an organic flow. Luckily, more recent games have helped remedy that and 2K19 features the best in-game commentary to date. It also marks the return of in-game voice acting for the career mode, and that’s also really good given the standards of the genre. The in-game soundtrack is solid, with a robust track listing from a variety of genres, while the sound design for things likes strikes is improved. Before, low-level strikes didn’t sound all that impactful – but now they do, and make every strike landed in a match seem like something that can damage someone. Overall, WWE 2K19 is an evolutionary step forward for the series – but a big one. The return of the showcase mode offers up a lot to enjoy for fans of Daniel Bryan while the MyCareer mode brings things back that worked before – but tells a far better narrative than most. The debuting 2K Towers offer an ever-present challenge and are sure to make even seasoned players wince a time or two, and the revamped gameplay for things like striking and cage-related modes allows for more realistic matches than prior entries across the board. Now, just about every match type available has received major changes over the last few years and it leads to the game being more fun. The large roster also ensures that you will have plenty of wrestlers to enjoy from a wide variety of eras – and enables dream matches from both past and present wrestlers alongside the current roster. This review is based on a digital copy of WWE 2K19 for the PlayStation 4 provided by 2K.